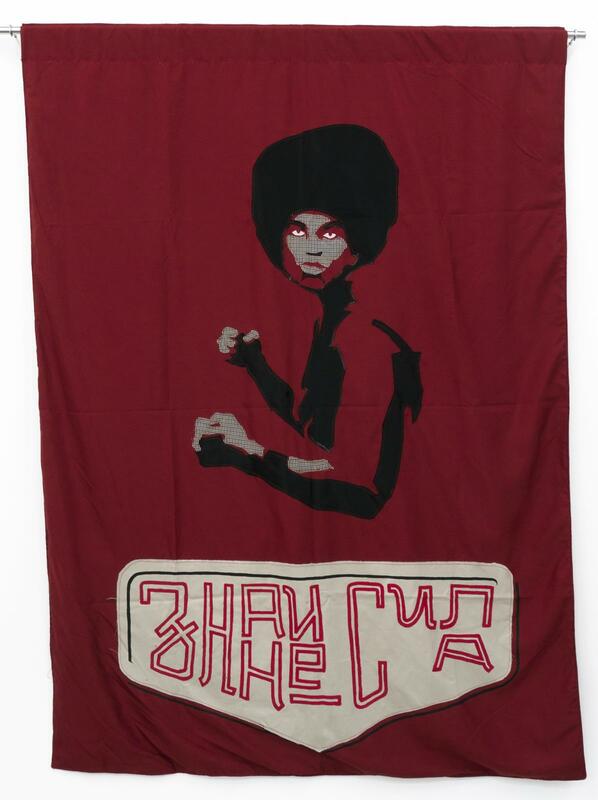 Chto Delat, Knowledge Is Power, from the series Learning Flags, 2011, mixed textiles (sewed), vinyl paint, courtesy Chto Delat and KOW, Berlin. A workshop inspired by the Chto Delat collective’s Learning Flags series; presented as part of the exhibition project Making Use: Life in Postartistic Times. Organized in conjunction with the First Warsaw Patainstitutional Convention. Artist Katarzyna Górna and educator Katarzyna Witt would like to invite you to a Saturday afternoon workshop on inventing and embroidering learning flags. The participants will go to a sewing workshop to create their own flags or banners with slogans, quotes, or political theory references. They will have the opportunity to use design and text to make flags that express their personal views. Working on the visual and verbal message will accompany a practice-oriented reflection on forms of political expression. The flags will be made using various kinds of fabric and felt, in a very accessible technique. You can join the workshop at any time. Participants can bring a design they prepared beforehand or create one on the spot, taking inspiration from the exhibition or interacting with other participants.